I finished a pretty good book this past month (Bellweather Rhapsody) where all of the action took place in a hotel just past its prime. The writer was channeling Stephen King’s The Shining, another pretty good book with a focus on an even more atmospheric hotel setting. Then, just a few days ago, I watched The Grand Budapest Hotel, a Wes Anderson film that relies on its hotel setting as a foundation for the ensuing wackiness of the main characters. That got me wondering – what is it about hotels that seems to bring out the crazy in people? Whether sweet or strange or sinister, the following books treat hotels almost as if they were just another character. On holiday, Miss Marple senses something sinister at Bertram’s Hotel. She’s right: the police believe some of the guests are involved with criminals. Abduction, train robbery, and the murder of the hotel’s doorman confuse the authorities, but Miss Marple deduces the truth. A young music prodigy goes missing from a hotel room that was the site of an infamous murder-suicide 15 years earlier, renewing trauma for a bridesmaid who witnessed the first crime and rallying an eccentric cast of characters during a snowstorm that traps everyone on the grounds. During one sultry summer, the St. Gregory Hotel in New Orleans becomes the setting for a series of private and public adventures in romance and intrigue. A shabby Hawaiian hotel provides the backdrop for a series of interwoven stories about love, crime, friendship, and family, as seen through the eyes of a down-on-his-luck writer who takes a job as hotel manager. John, the middle son in an eccentric family with five children, one bear, and a dog named Sorrow, describes growing up in a hotel. Devoting himself to his young daughter and his five-star hotel after his divorce, Hugues Martin reevaluates his prospects when his daughter eventually pursues an education in France and he falls in love with a woman who understands his professional passions. The Renaissance Hotel of Washington, D.C., shelters an array of unique characters, from Jedra, a refugee technician from Iraq, to Phyllis, a desk clerk who remembers Heaven, all of them searching for love and meaning in a mysterious and enchanting world. Fifteen-year-old Scarlett Marvin is stuck in New York City for the summer working at her quirky family’s historic hotel, but her brother’s attractive new friend and a seasonal guest who offers her an intriguing and challenging writing project improve her outlook. It is in colonial Kenya, at Lord Penfold’s White Rhino Hotel, that the paths of these new settlers cross. Here they meet the cunning dwarf Olivio Alevado, a man whose lustful desires and vengeful schemes make him a formidable adversary to his enemies and a subtle ally to his friends. Here the destinies of the gypsy adventurer Anton Rider and the courageous, war-hardened Gwenn Llewelyn intersect. Here hope is corrupted by greed, love by revenge, and loyalty by betrayal as the future is trampled into history. When the owner of Universe Hotel in New York is found dead, it is up to the hotel’s Director of Rooms, Trevor Lambert, to preserve the dignity of the hotel while struggling to keep the details of the murder away from a nosy reporter who wants to expose the story on national television. A 12-year-old girl, waiting at tables in her mother’s hotel, becomes interested in the death, 40 years earlier, of a girl her age. The victim drowned in a nearby lake. So little Emma Graham starts analyzing available evidence, questions old ladies and woodsmen, and through perseverance solves a mystery. By the author of The End of the Pier. At the cozy and quirky Hatteras West Inn, innkeeper Alex Winston investigates when one of his guests is found dead at the top of the lighthouse, the first in a series of odd “accidents” that begin to plague the getaway. A memoir of growing up in the rural town of Soda Springs, Idaho, describes life in the dilapidated if historic Enders Hotel, Cafe, and Bar, the colorful and and haunted characters who passed through its doors, and the author’s own struggle to find his own identity in the faces of a never-seen father and desperate boarders. A veteran of the hospitality business uses humor and irreverence to describe working in the industry, coming clean on the housekeeping department, the unwritten code of bellhops and what really goes on in a valet parking garage. Describes what took place during the 2008 terrorist attacks in Mumbai when terrorists assailed the luxurious Taj Mahal Palace Hotel and how the combined efforts of courageous staff and guests helped keep the death toll down. Six-year-old Eloise lives with her mother and her English nanny at the Plaza Hotel, where she finds many opportunities to indulge in mischief. Summaries are courtesy of NoveList Plus. Log in to NoveList Plus using your TFPL card. School starts for much of the Magic Valley next week, which means that the kids are probably going to squeeze every bit of summer vacation out of the next few days. And while most of those activities might be fun, I’m sure there’s a handful of kids that didn’t quite finish their reading list for the new school year. In honor of back to school – and possibly in service to those students who need to get a book finished before Monday – here’s a short list of short classics. Each is less than 250 pages, so you could probably finish them in one or two sittings, and all would please even the fussiest English teacher. Plus, most are just darn good stories. Enjoy! Annotations are courtesy of NoveList Plus. Log into NoveList Plus using your TFPL card. This August marks the centennial of the beginning of The Great War. For much of Europe, it was a devastating mess, causing deaths and destruction beyond the scope of any prior European war. The aftermath was also transforming on a large scale – political boundaries were redrawn, socioeconomic class distinctions were shaken, and the seed for revolution was planted in almost every region. The era remains rich for storytelling, however. 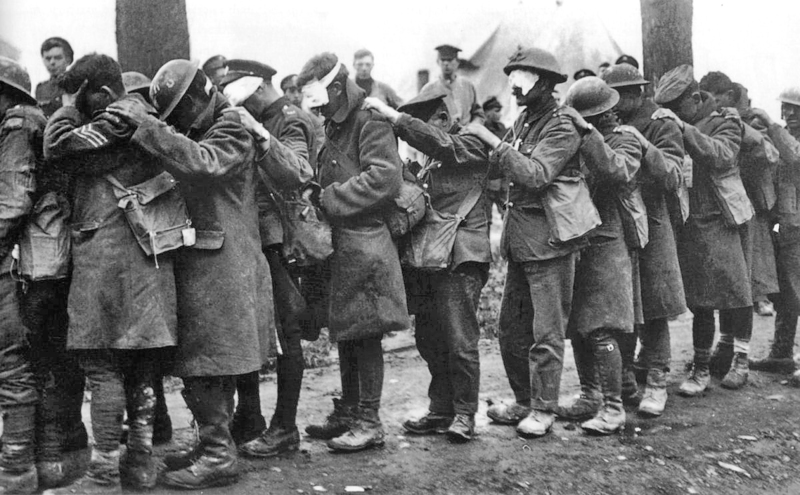 With varied subjects such as the causes, the trenches, the homefront, and the psychological and physical effects, many writers have plumbed the depths of the war in search for understanding. The novels listed here are prime examples of our need to comprehend the whys and hows of the First World War. Story of an American ambulance driver on the Italian front during World War I and his love for an English nurse. Uprooted from a nineteenth century mining town in Colorado by a shocking family tragedy, young Jozef Vinich returns with his father to an impoverished shepherd’s life in rural Austria-Hungary. When war comes, Jozef is sent as a sharpshooter to the southern front, where he must survive the killing trenches, a perilous trek across the frozen Italian Alps, and capture by a victorious enemy. The testament of Paul Baumer, who enlists with his classmates in the German army of World War I, illuminates the savagery and futility of war. In the spring of 1918, when America enters World War I, the world waits to see if the tide of war can be turned with the renewed spirit and strength of the untested American Expeditionary Force under General John “BlackJack” Pershing. Follows the lives of four very different men, Frank, Benedict, Jean-Batiste, and Harry, as their fates converge on the most terrible and destructive day of World War I, the first day of the Battle of the Somme. The lives of two very different couples–an officer and his aristocratic wife and a young soldier and his childhood sweetheart–are irrevocably intertwined and forever changed in this WWI epic of love and war. Annotations are courtesy of NoveList Plus. Log into NoveList Plus using your Library card. Let’s take a leisurely stroll back to 1995 – only 19 years ago. (Crazy to think so, isn’t it!) In August of that year, we were all fascinated by the release of Windows 95, which introduced the Start menu button and shortcuts on the desktop – things that we wouldn’t know what to do without today (though they tried, and failed, to get rid of the Start menu button in Windows 8). For all you trekkies out there, Star Trek: Voyager premiered in January. A new optical storage format, the DVD, is released in September. The final Calvin and Hobbes comic strip is published in December. There were a few weightier things you might remember better from that year (Oklahoma City bombings, O.J. Simpson verdict, Unabomber), but let’s concentrate on some positives by looking at what we were reading, according to the New York Times Best Seller list, the week of August 6, 1995.